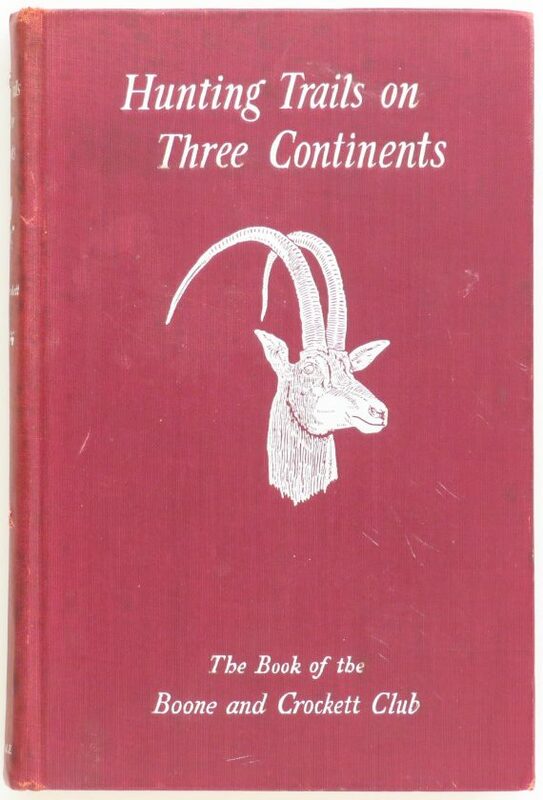 Hunting Trails on Three Continents, Derrydale 40/250, Boone and Crockett Club Acorn Series - Sportsman's Legacy, Fine firearms, related books and sporting collectibles. Representing estates, collectors and nonprofit conservation organizations. Hunting Trails on Three Continents. 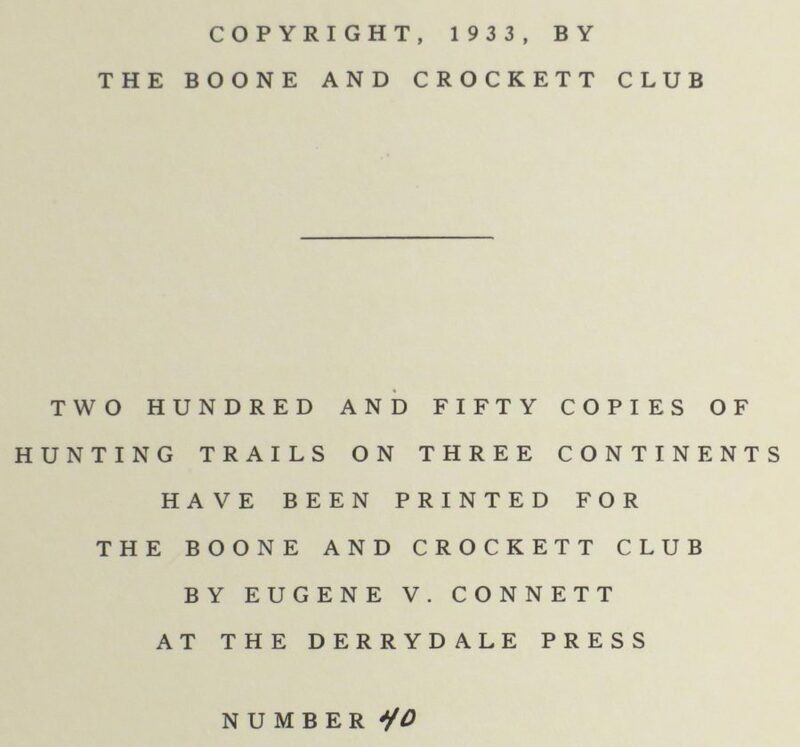 Published in 1933 by the Derrydale Press for the Boone and Crockett Club in an edition of just 250, this is copy number 40. Part of the Boone and Crockett Club’s famed Acorn Series, it is the Windward House version (rare in itself) which is usually encountered. Condition is very good, with minimal pencil markings, faint instances of discoloration and only a slight loosening of the binding. The price is firm. $1,250 plus shipping. Proceeds benefit the Boone and Crockett Club.